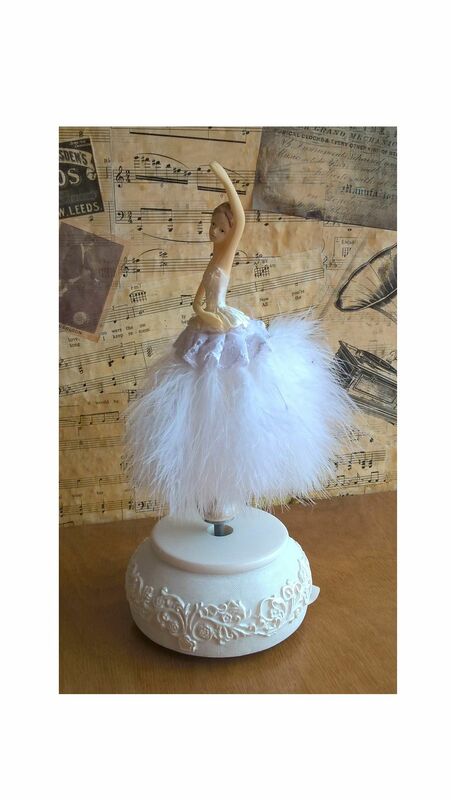 This beautiful ballerina figurine dances to the tune 'Blue Danube'. There is a key at the bottom of the base that is used to wind the clockwork mechanism and once released the ballerina will rotate to the music. 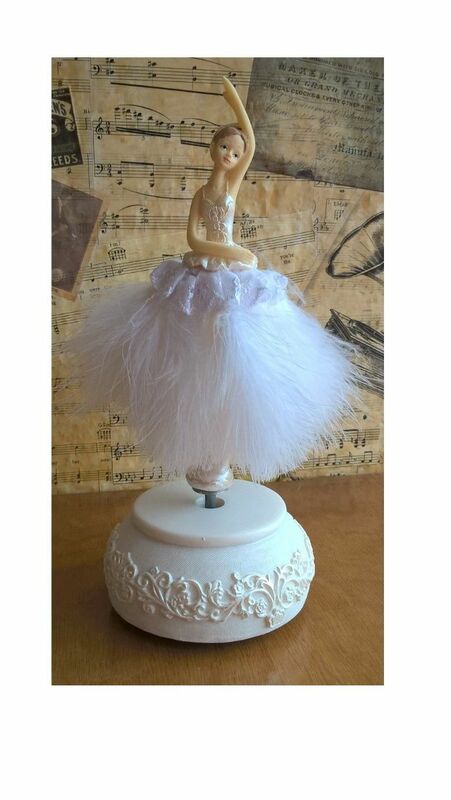 An unusual figurine as the ballerina's skirt is made from feathers. The base is detailed with flowers and scroll work.